It is only natural that when it comes to our kids’ birthdays, we put pressure on ourselves to create the happiest of memories for them. That’s why it’s hard to keep it simple when planning our child’s birthday party. Party food, games, decorations and cost are just a few things to consider in the planning process. The sheer fact that we love our kids can escalate that low-key birthday party we had planned into an all-out extravaganza. Let’s face it, kids’ birthday parties aren’t like they used to be. Gone are the days of a round of pass-the-parcel and a game of tiggy. We are more inclined to fill our lawns with bouncy castles, bubble machines and piñatas. 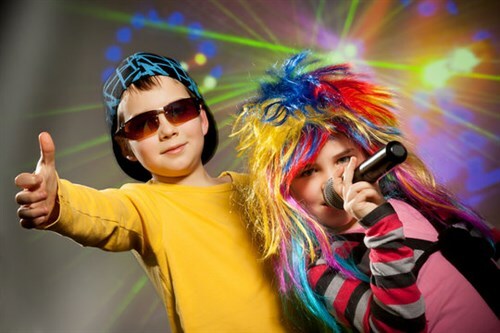 We love to celebrate our children’s birthdays in style but the vast range of options can often be overwhelming. That’s where Party Bus comes in. At Party Bus we take care of everything for you. We love what we do and our passion to deliver the best customer service applies to all age groups and all occasions. The words ‘Party Bus’ can often bring connotations of Hens Nights and Stag Dos but we offer much more than that; we do the best kids’ parties too. 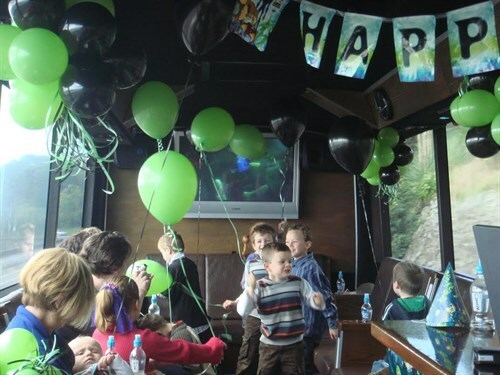 We have two fantastic options suitable for children’s birthday parties; the Ultimate Party Bus and the Rock Party Bus. We can even offer a personal host to run the party for you – wouldn’t that take a weight off your shoulders? As the largest limo coach in Auckland, the Ultimate Party Bus can seat 35 people so there is plenty of room for everyone. You can relax in a separate lounge area with other parents while the kids have fun down the back of the bus. Put a movie or music video on in the background and watch as the kids have the time of their lives. If you want something a little larger, the Rock Party Bus is the way to go. Seating 41 passengers, both parents and kids can really enjoy the extra space. The newest addition to the Party Bus fleet, the Rock Party bus comes complete with mirror windows, a cool dance floor and great lighting. There are plenty of reasons this amazing vehicle would be a hit with the kids. Often the most daunting task of a kid’s birthday party is the aftermath. It’s amazing how a group of small people can create one of the biggest cleaning jobs of the year. When the kids have gone home, you scan the room and assess the task ahead. A hurricane of wrapping paper, toys and crumbs has swept through your house. Wait… is that tomato sauce on the carpet? There are no scary surprises with a Party Bus birthday. Your home will be left in the state you are familiar with and you can rest assured that you won’t find a shrivelled saveloy behind the couch in a month’s time. Keeping tabs on the kids at home can also be difficult and the only way to properly supervise the party is to recruit other parents. You find yourself asking ‘who are we missing?’ too many times to keep count. There is no need to station parents in all corners of your property this year. Instead, hire a Party Bus and enjoy a safe and contained environment. The kids will enjoy themselves in one fun-filled space and you can oversee the party from the comfort of a couch. So why not try something new this year? The Party Bus is more than a venue, it’s a new and unique experience. The novelty of partying on a moving bus is exciting, even for adults. Just imagine the enjoyment a group of kids would get out of it. For kids, their birthday parties are the event of the year. Why not ease the load and utilise all that the Party Bus has to offer. We will do our absolute best to make sure the kids have a blast. 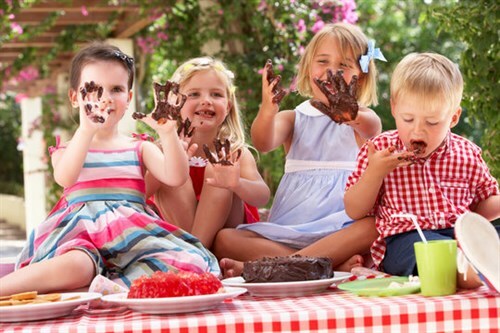 So leave the mess behind this year and contact us to book your child’s birthday party. We guarantee everyone will have a great time.